Here are some things that we are willing to sell online. Some stuff is gonna be nicely priced as well. 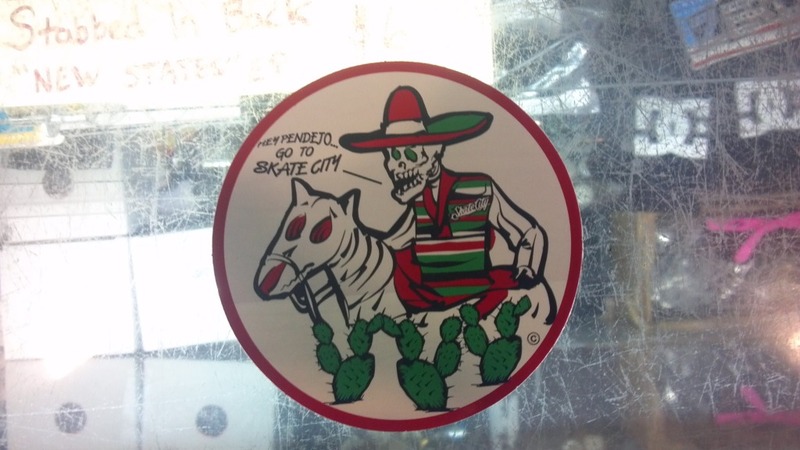 Skate City “Hey Pendejo!” stickers. $1 dollars plus postage (or send a self addressed stamped envelope). Sweet sticker with Mexican dirty words. 4″ in Diameter. Buy 5 get free shipping! 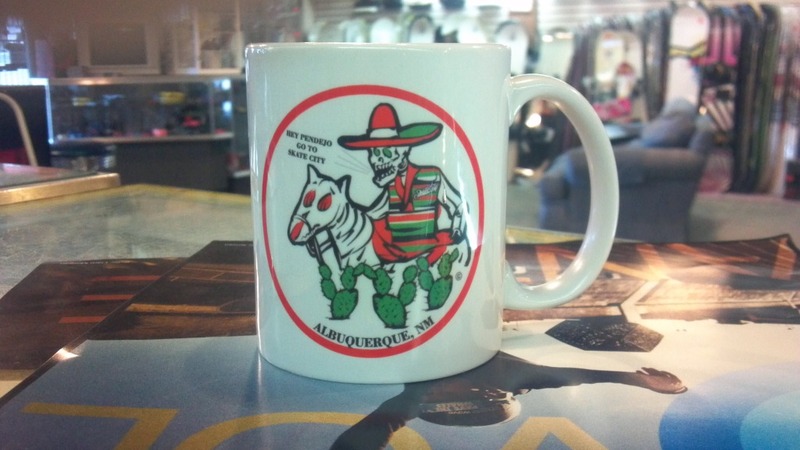 Skate City “Hey Pendejo!” Mug. $ 12 dollars plus shipping. Skate City Supply mug. Awesome mug for whatever you may be drinking at the time. 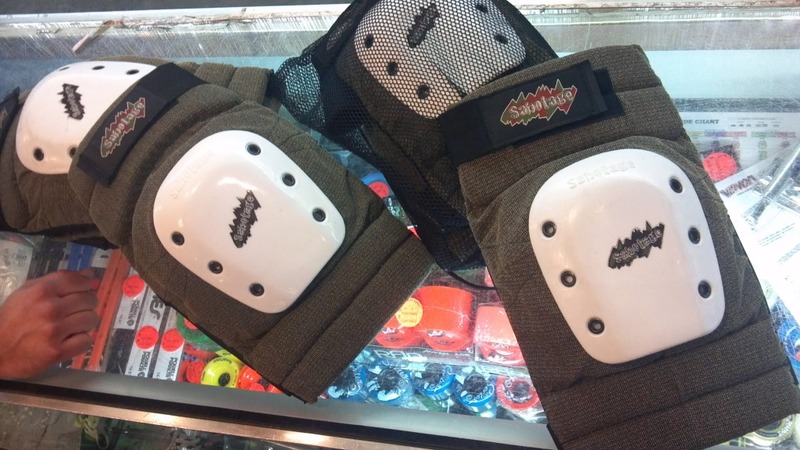 Super gnarly knee pads that can probably take falls from a second story building. For ordering just call 505-294-6699. We can take your order over the phone (until we have the means to throw a shopping cart up).